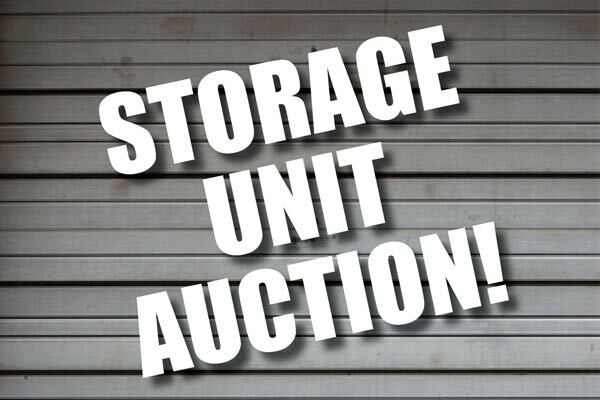 STORAGE UNIT AUCTION! Approximately 29+/- abandoned storage units being offered at public auction. Each unit being offered in total. Individual units will be opened for viewing immediately before auction is conducted. Cash only. There is a $50 cash deposit due which will be returned if the unit is left clean. Pick up time is from the end of auction until 10PM Fri, Saturday 6AM-Noon. (Noon deadline). There will be limited parking at the Auction. Overage at the old Village Flea Market parking lot (Do not park at Dopps). Pawnee & Meridian - North to E-Z Self Storage.